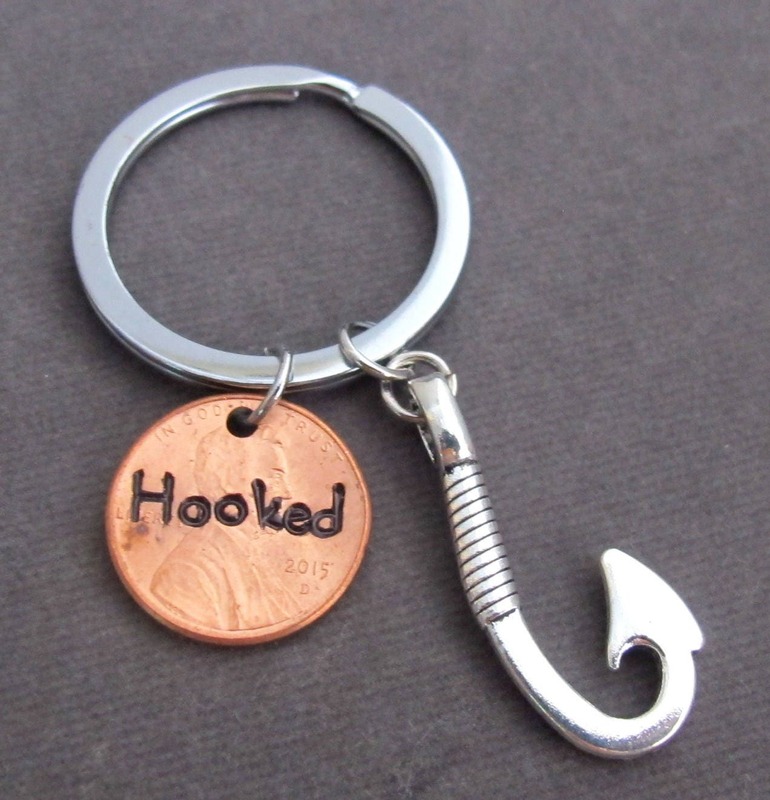 I am hooked on You, Lucky Penny custom year keychain, wonderful gift for husband/boyfriend. Gift for fisherman. It is stamped with year, so you can choose your special year from the drop down. I will stamp it for you. The penny is genuine US penny stamped "hooked" as well. A Great Gift for Someone Special and the one who has made your life Meaningful and has proven to be lucky for you. Please Mention the years 1958-1979 in the "Note to seller" section. Thank you!